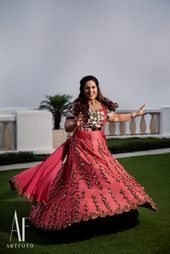 We love a bride who ensures that along with having fun on her wedding, she also rocks in unique yet gorgeous outfits! 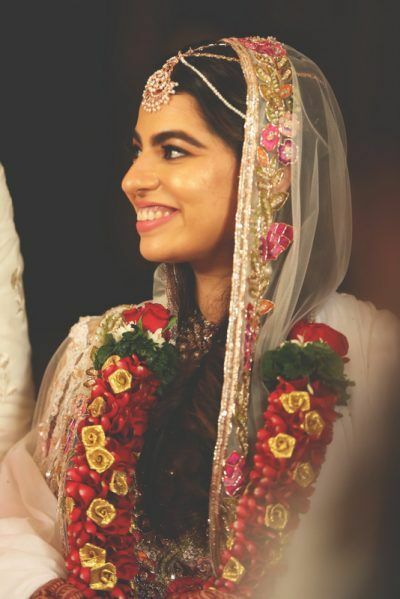 That is exactly what this bride did. 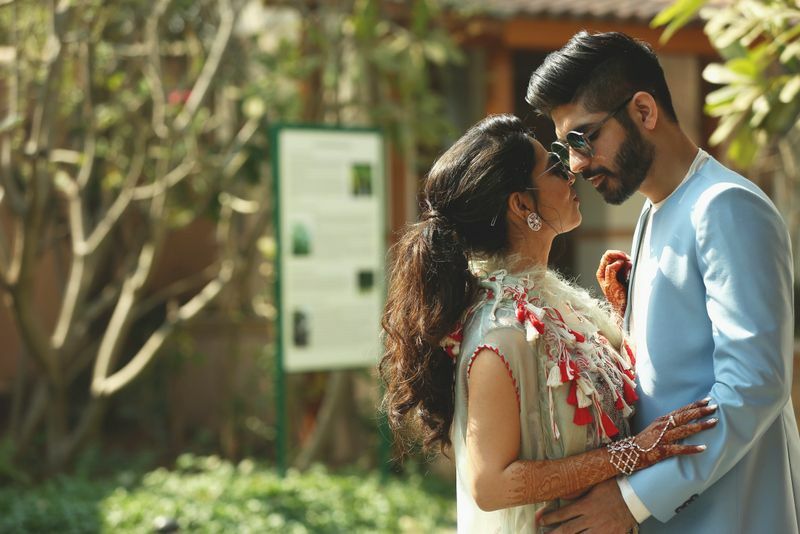 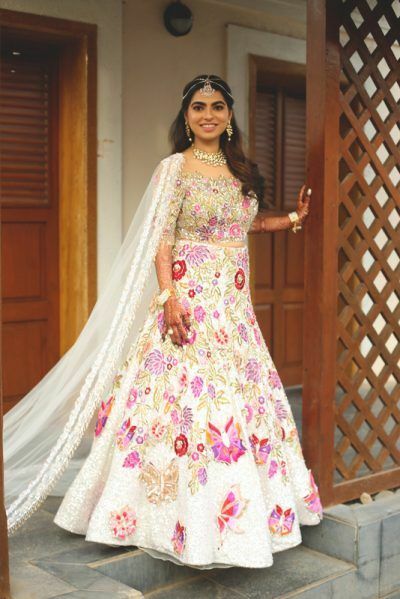 Her every outfit gave us some major goals, but it was her entire wedding look that stole our heart! 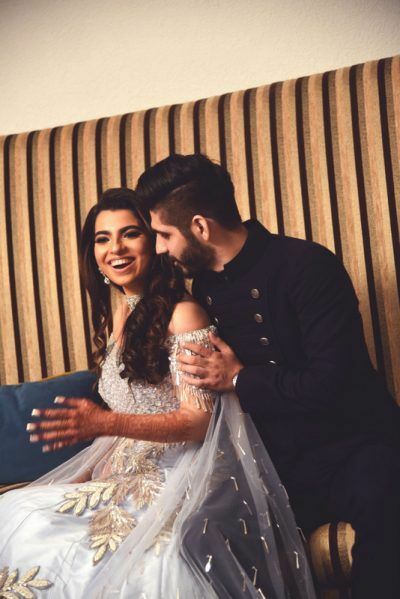 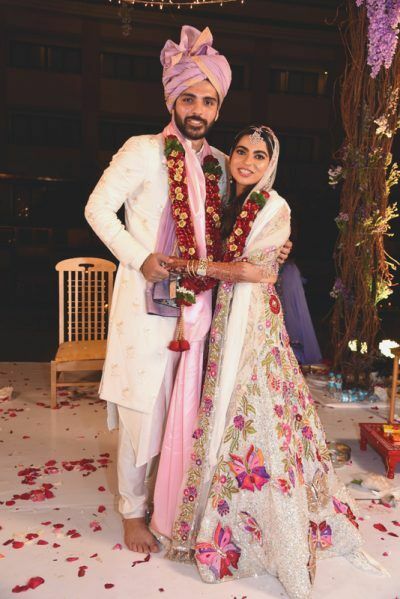 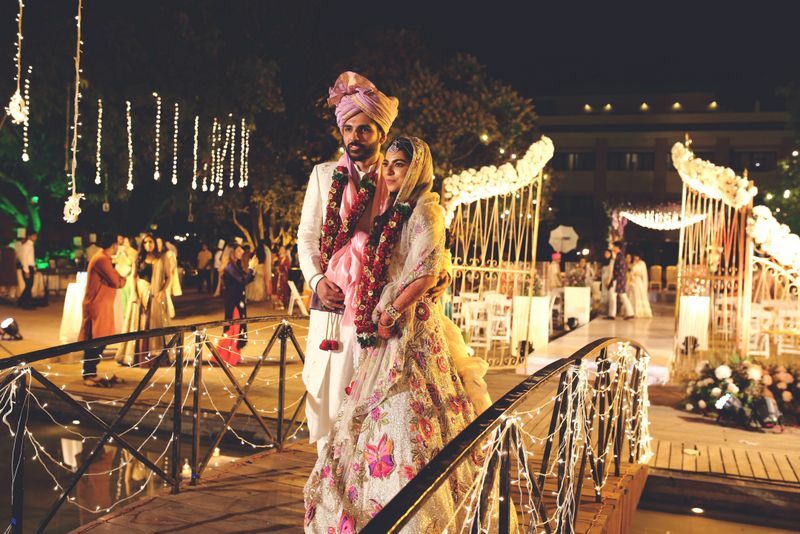 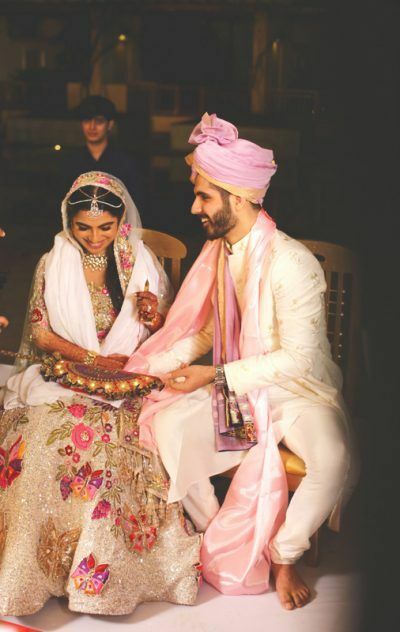 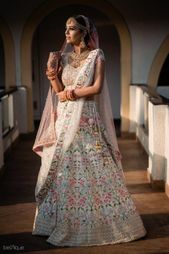 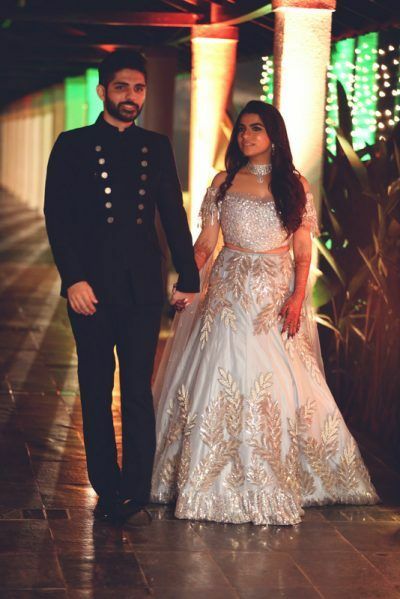 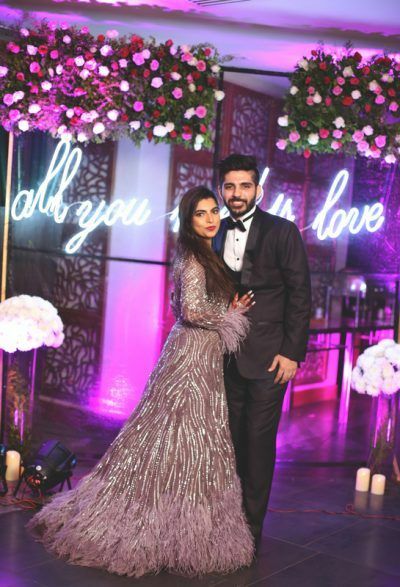 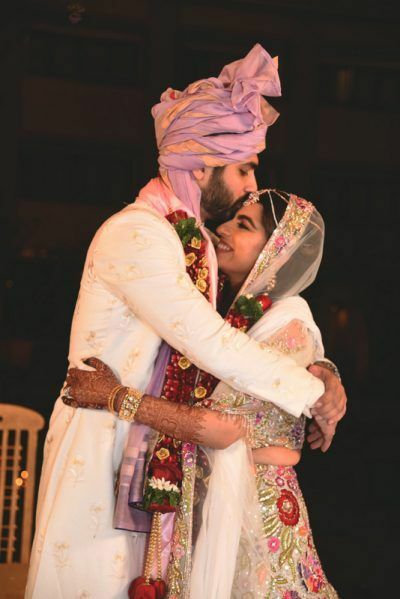 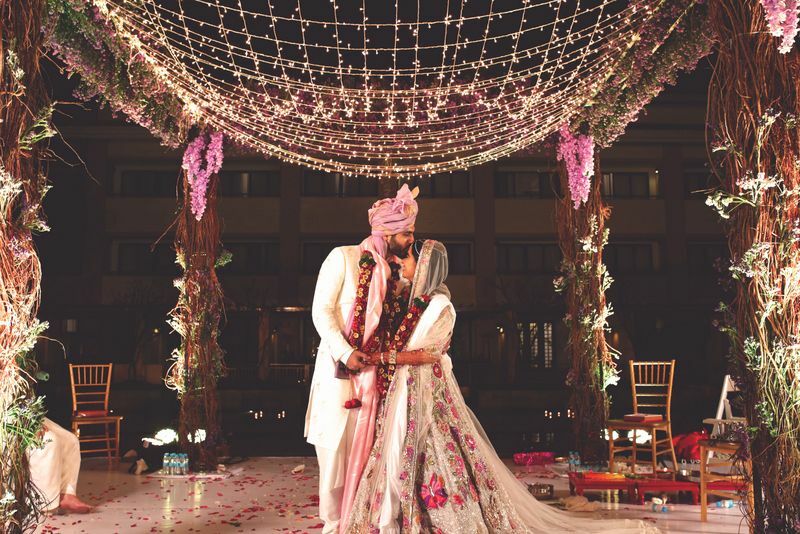 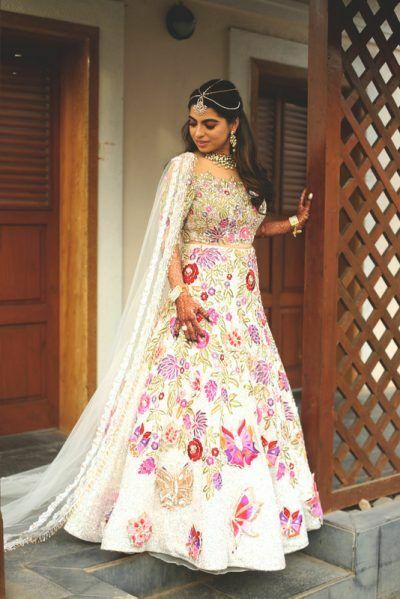 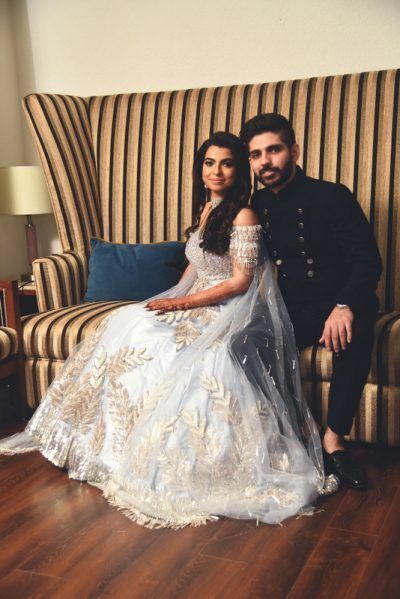 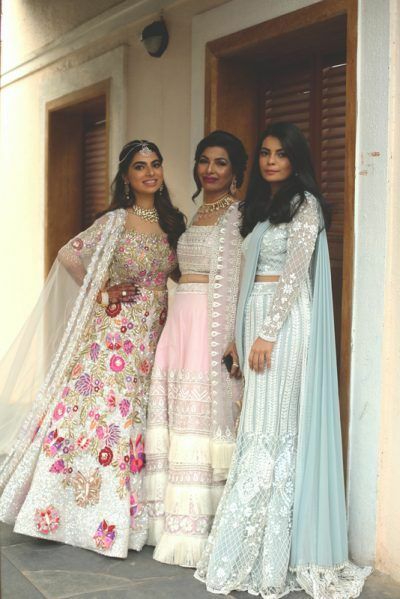 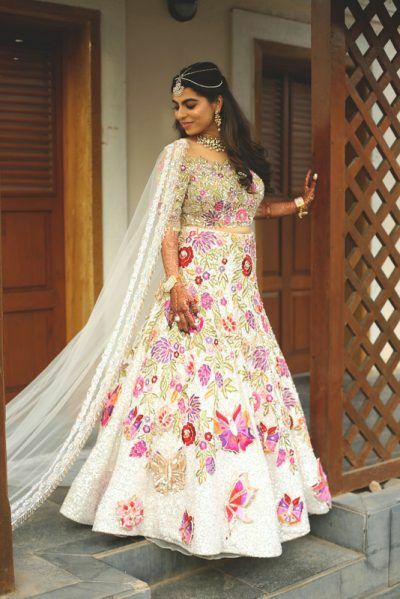 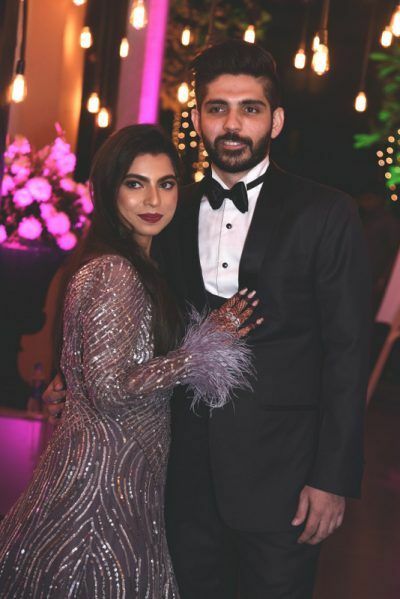 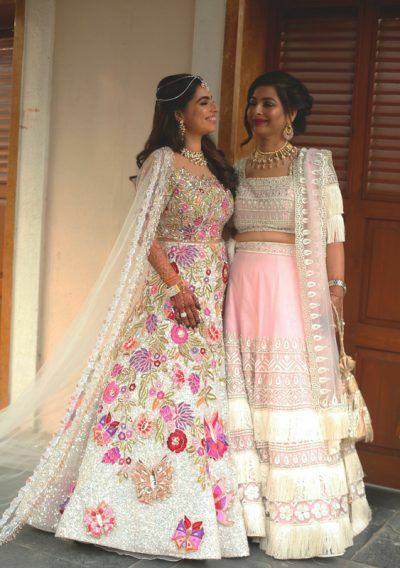 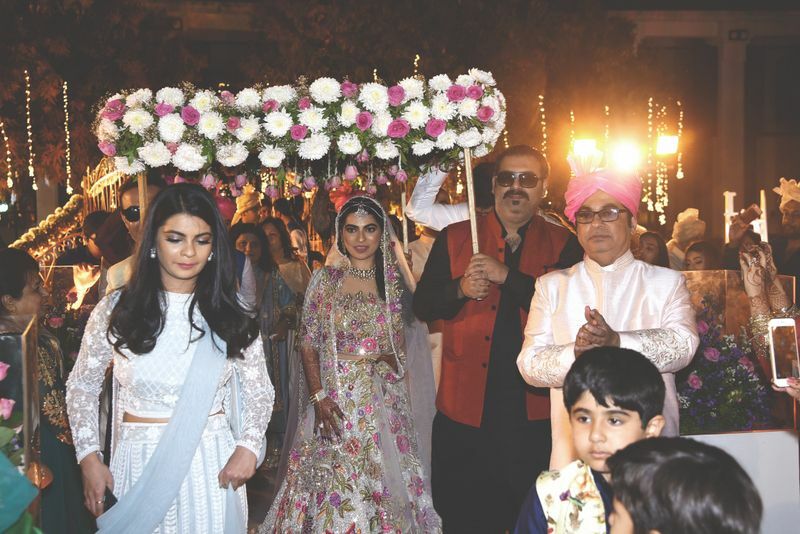 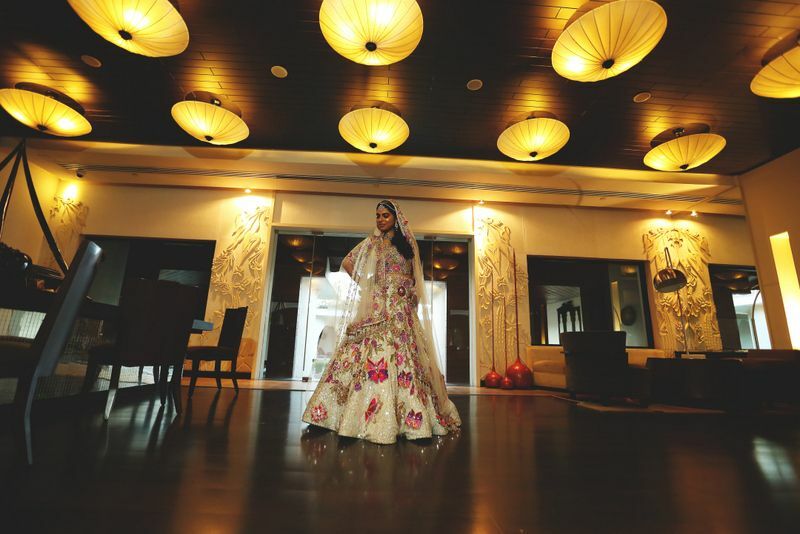 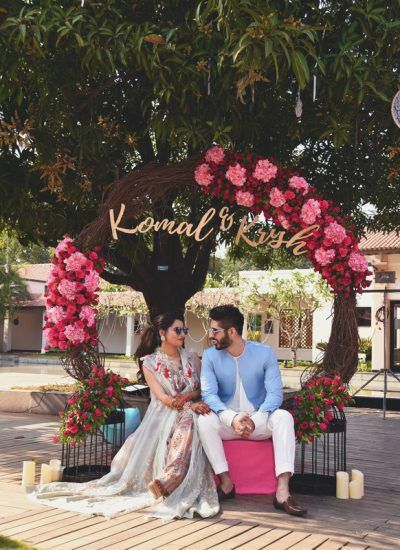 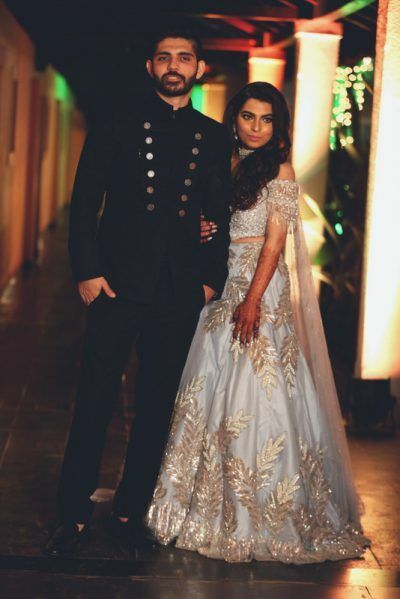 Her outfits were of the most vibrant colour palette like teal blue, grey, and obviously the wedding outfit, an ivory lehenga with butterfly motifs by Manish Malhotra★ 4.9 ! 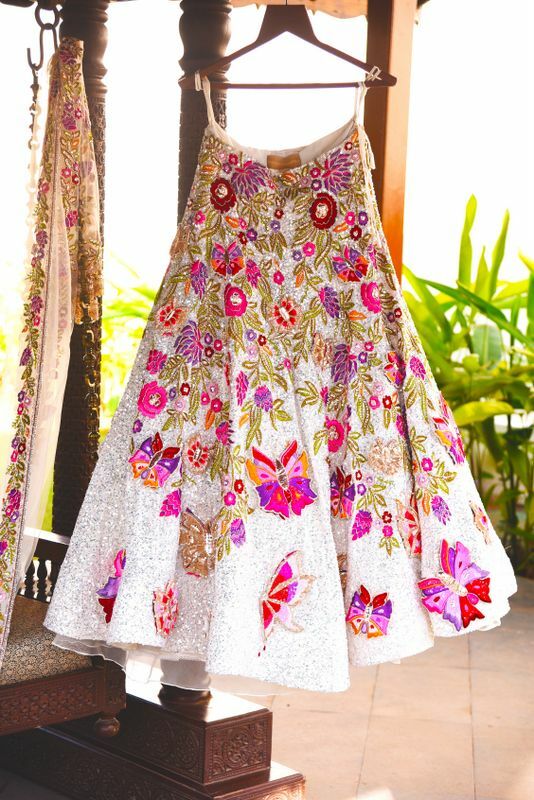 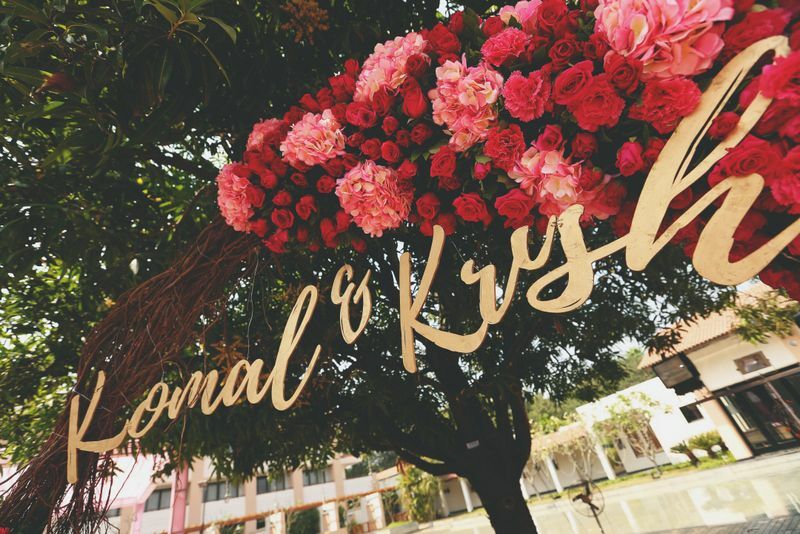 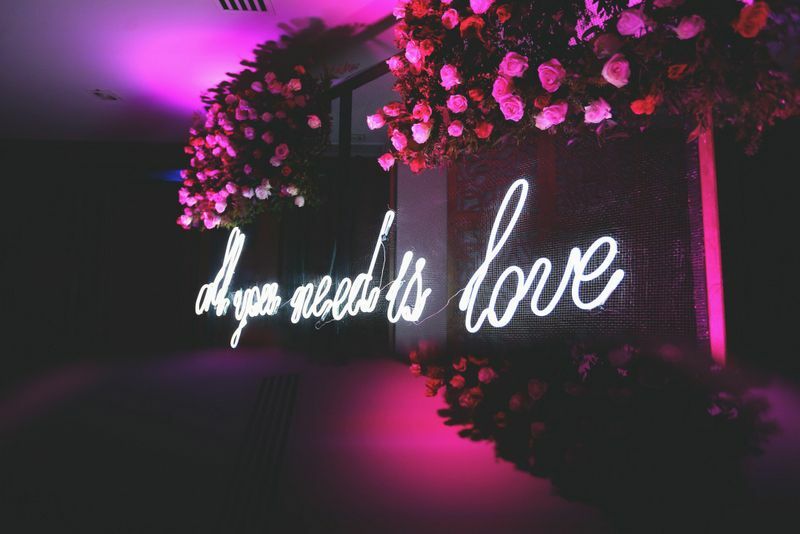 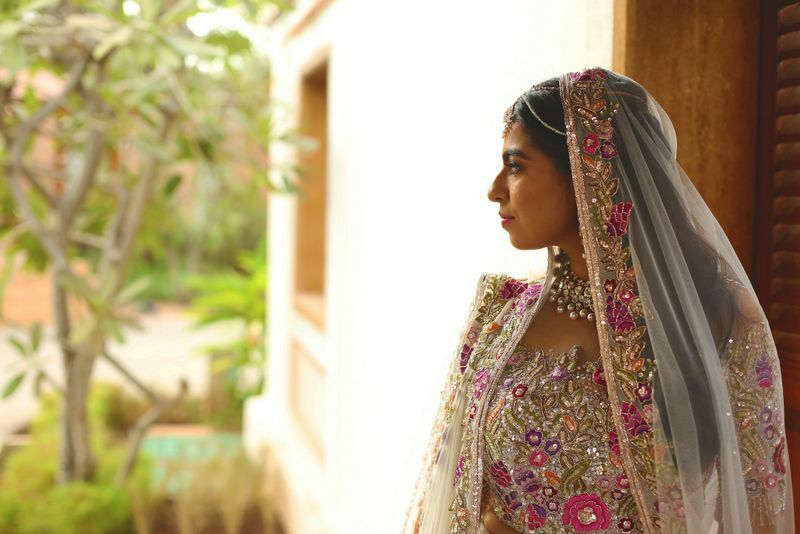 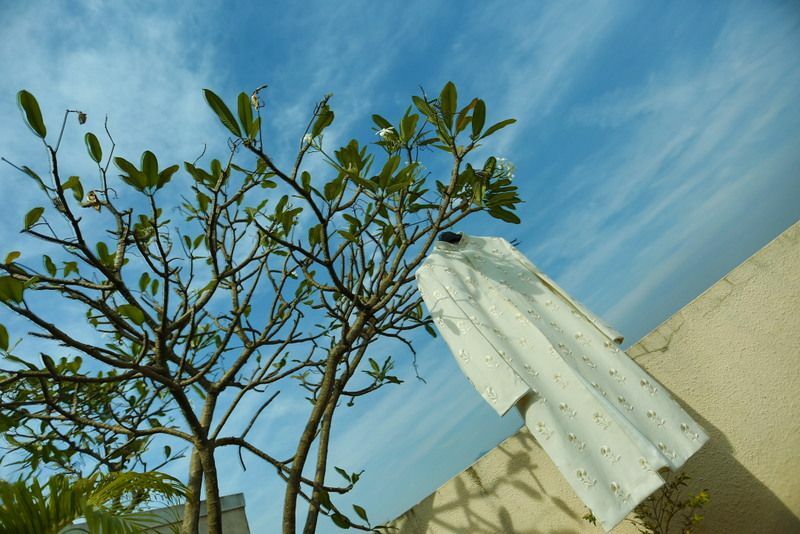 Another amazing thing about this wedding was the perfect wedding decor, inspired by the bride's lehenga! 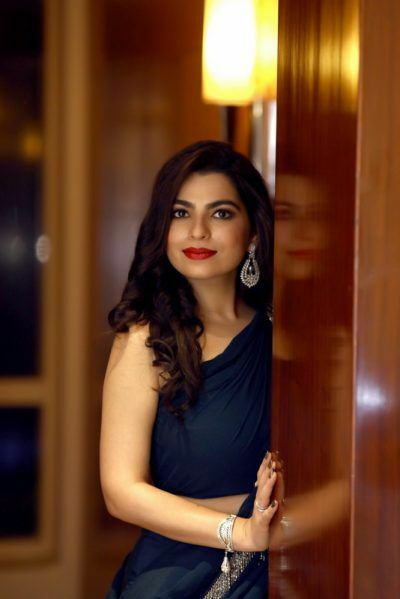 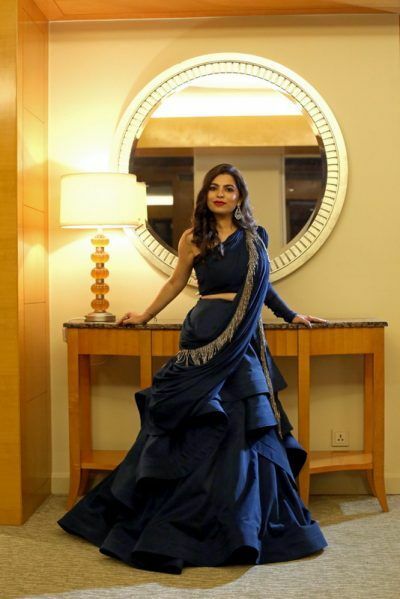 She was styled by Manisha Kundnani of Brideloom, who made sure her look was beautiful! 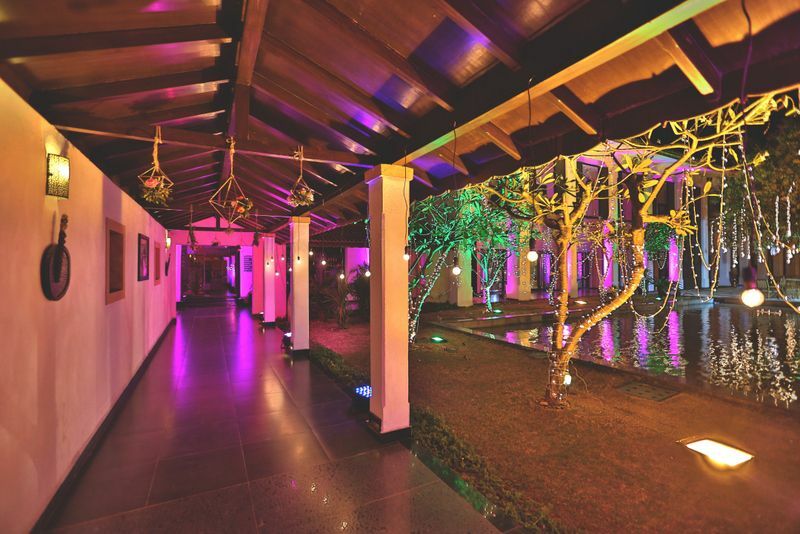 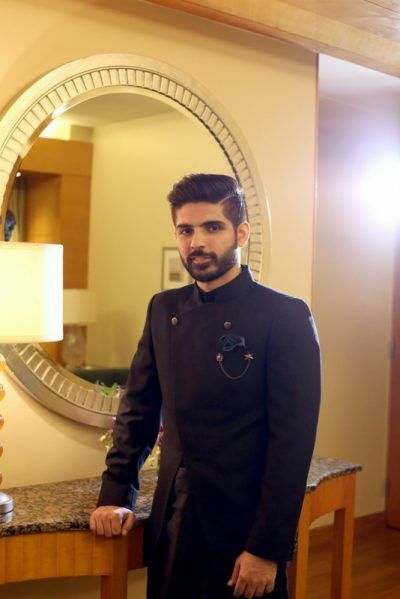 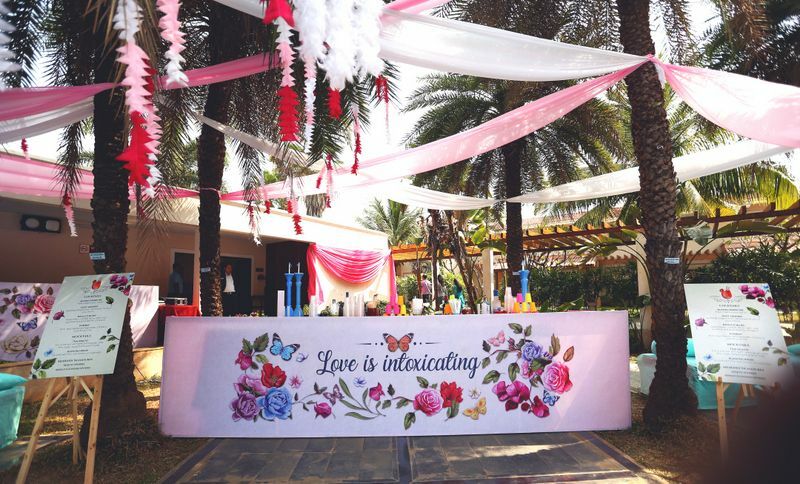 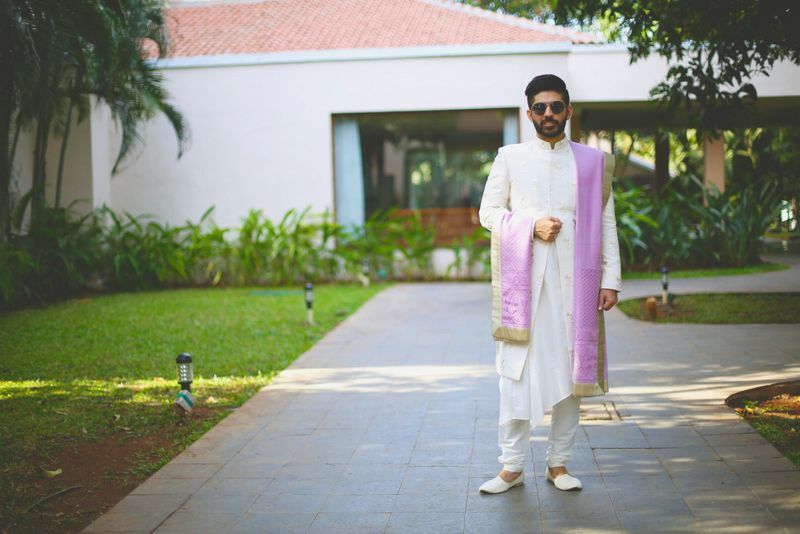 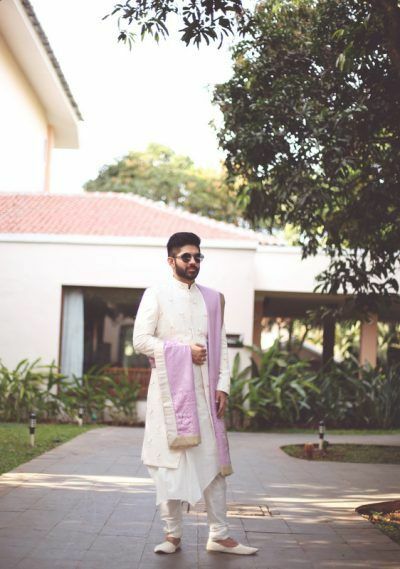 Radisson Blu Resort & Spa, Alibaug was a beautiful backdrop for their wedding celebrations!